While there are several ways to reduce household junk, it’s ultimately up to you to maintain a junk-free home. But, this isn’t always simple and all-too-often a boring chore. However, this doesn’t mean you’re doomed to live among clutter and more. The key to this ongoing exercise is just that — to stay in the habit. It’s more about changing your own personal behavior than anything else. After all, if you can stick to it for a few months, it becomes routine and somewhat natural. Go a bit longer and it morphs into second nature. Stick to a routine. This is a real challenge and it total change won’t come overnight. Make no mistake about it, you’ll encounter daily temptations to give in and go back to your old ways. So, set a schedule and commit to stick to it day in and day out. Over time, your “new” routine will slowly become normal and feel natural as the days pass. Purge unused items regularly. Do not attempt to do all of it at once. You’ll tire and become overwhelmed. And, that’s a recipe for premature burnout. So, do this is stages and your success rate will increase substantially. Don’t keep adding to your stuff. Finally, don’t add to the problem by bringing more and more stuff home. Instead, replace things when necessary and don’t hold onto items collecting dust. Too much stuff? 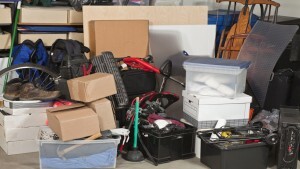 If you need junk removal, go ahead and phone 800-433-1094 or visit Junk Garbage Removal.